Sun protection is important year round and everyone on your list – both naughty & nice – deserves the gift of healthy skin this holiday season! 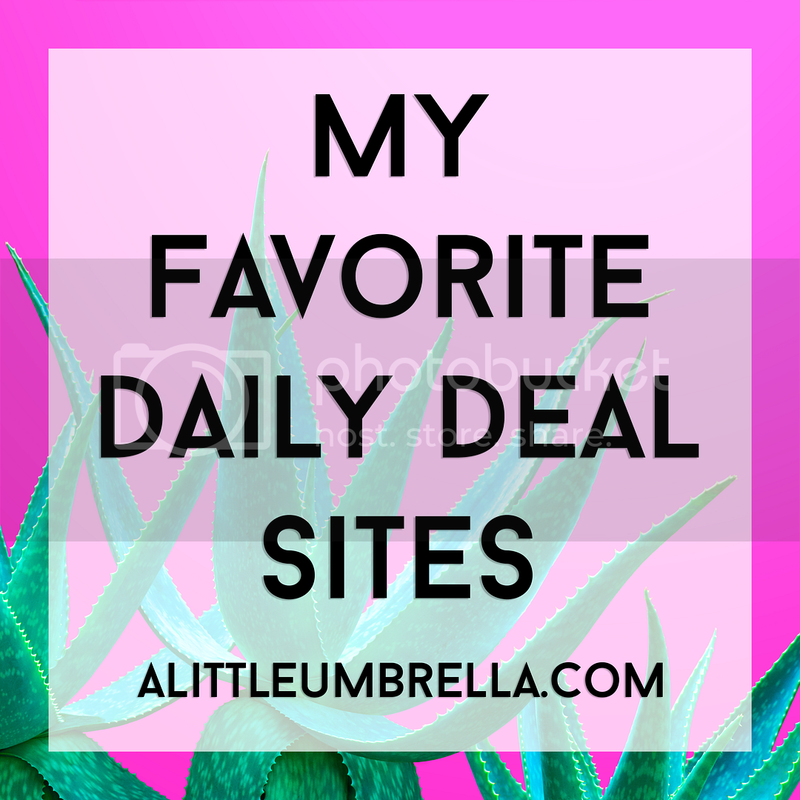 I got to try two of Supergoop!’s best sellers! The Forever Young Hand Cream SPF 40 and the City Sunscreen Serum SPF 30. The Anti-Aging City Sunscreen Serum SPF 30 is a super lightweight serum that counteracts the signs of aging by repairing, protecting, and priming the skin for the rest of your daily regimen. I am embarrassed to say that I normally don't wear sunscreen every day. Why? I hate the thick and sticky feeling it leaves on my face. You can't put makeup over that! Yes you can. Day-to-day sun exposure requires the same precautions as an afternoon spent poolside. 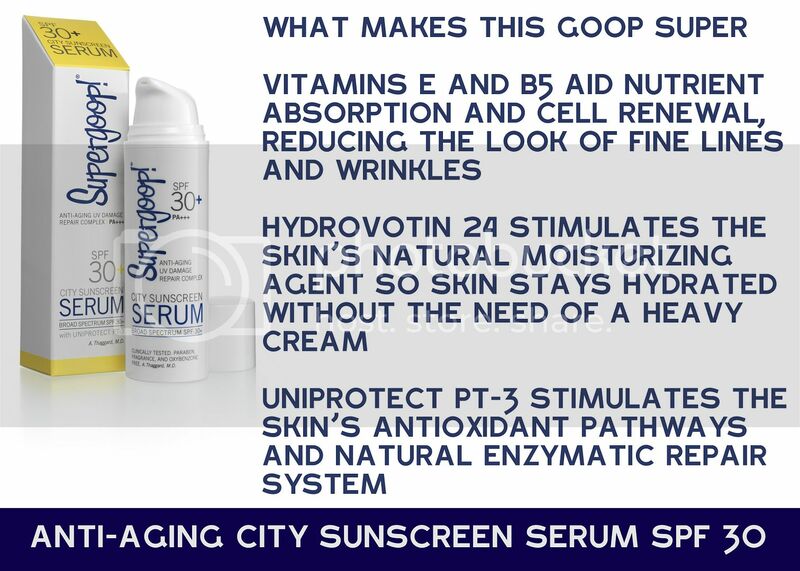 Anti-Aging City Sunscreen, a super lightweight serum, fulfills that everyday need. Both a moisturizer and a broad-spectrum SPF 30, it fights the signs of premature aging and protects against future UV damage. Built for year-round use, it’s a great primer for the rest of your daily beauty regimen. 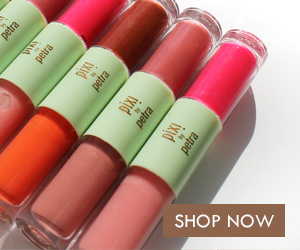 It is so light you can wear it under makeup without that sticky feeling. Super awesome. 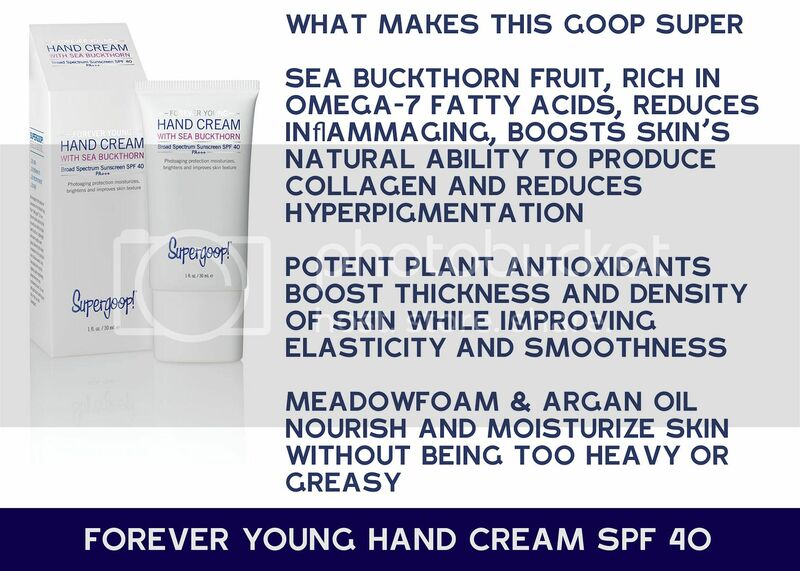 Forever Young Hand Cream SPF 40 with Sea Buckthorn gives you photoaging protection while it moisturizes, brightens and improves skin texture. It defends against the signs of UV-induced aging with an innovative blend of antioxidants and super broad spectrum protection. Formulated with omega-7 fatty acid-rich sea buckthorn fruit, it is also shown to help lighten dark spots, and skin nourishing meadowfoam seed and argan oils, this moisturizing age-defier improves skin’s elasticity and texture while safeguarding skin from future photodamage. I love finding a great hand cream. But unlike other hand creams, this one offers benefit after benefit. It feels great. This one is staying in my desk. I have such dry and dehydrated hands while I am teaching. This gives them that instant boost and stays saturated throughout the day. Super fantastic. 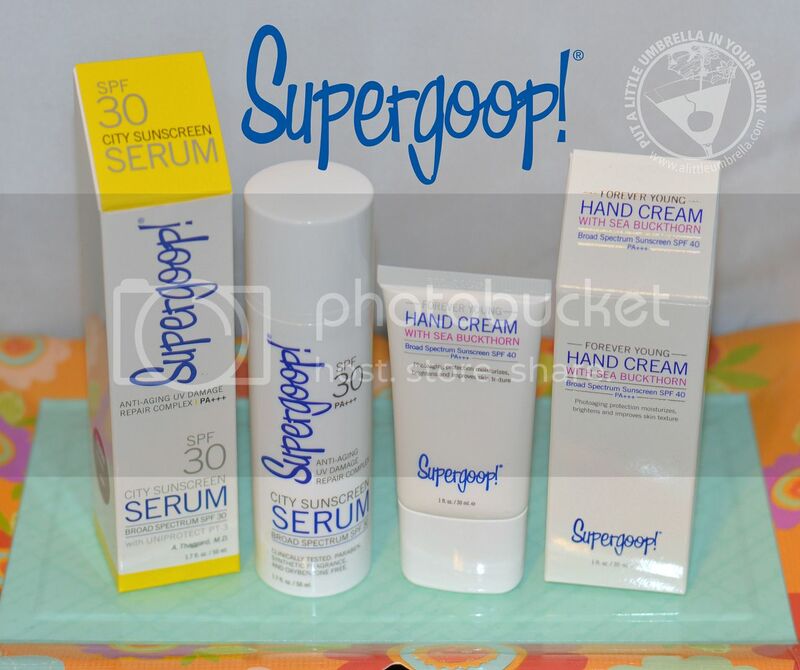 Psst ... did you know that Supergoop! is FSA Eligible‏? It would never cross my mind that beauty products like anti-aging eye cream, CC Cream, and lip balm would be covered by a medical plan. 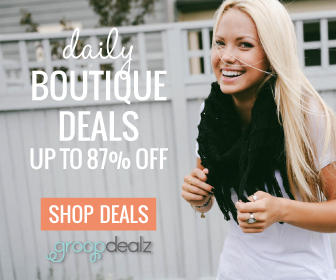 Well, it’s true when you buy Supergoop! If you have a FSA employer-provided benefit that allows pre-tax earnings to be used to pay for qualified expenses, you can “use it or lose it” on Supergoop! It is a little broadcasted fact is that any product with SPF 30 or higher is also eligible to be purchased using FSA dollars. Super nice. Supergoop! 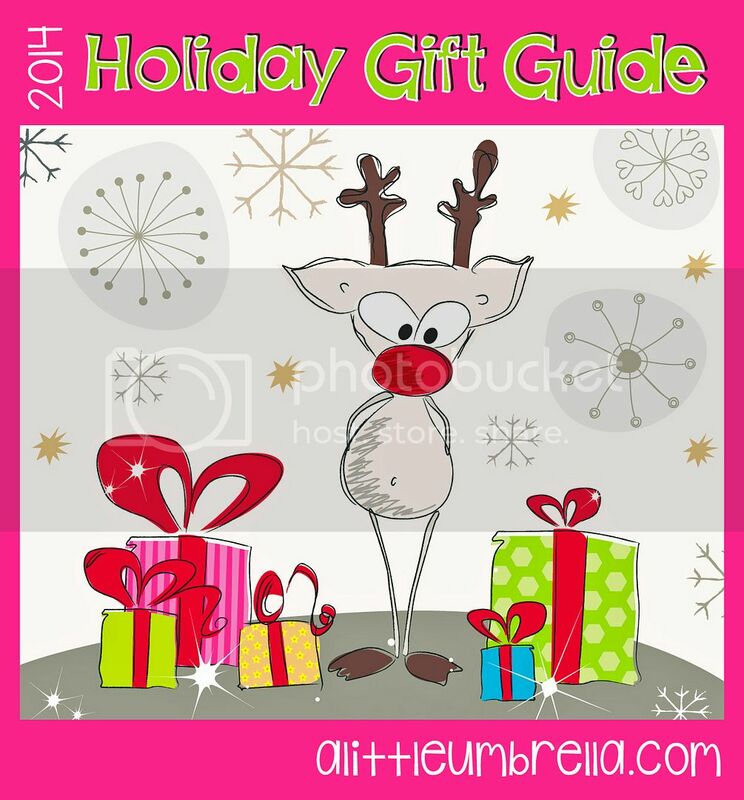 is featured in my 2014 Holiday Gift Guide. Connect :: Visit supergoop.com to learn more about this innovative line of Super Broad Spectrum Sun Defense Skincare! 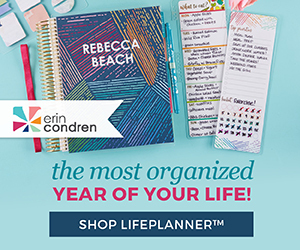 Connect with Supergoop! via Facebook, Twitter, and Instagram. Buy It :: You can purchase the Anti-Aging City Sunscreen Serum SPF 30 for $42 and the Forever Young Hand Cream SPF 40 with Sea Buckthorn for $11.